Siem Reap, home of Angkor Wat, is shaking off its image as simply a stop-off town while visiting the temples and becoming a destination within its own right. 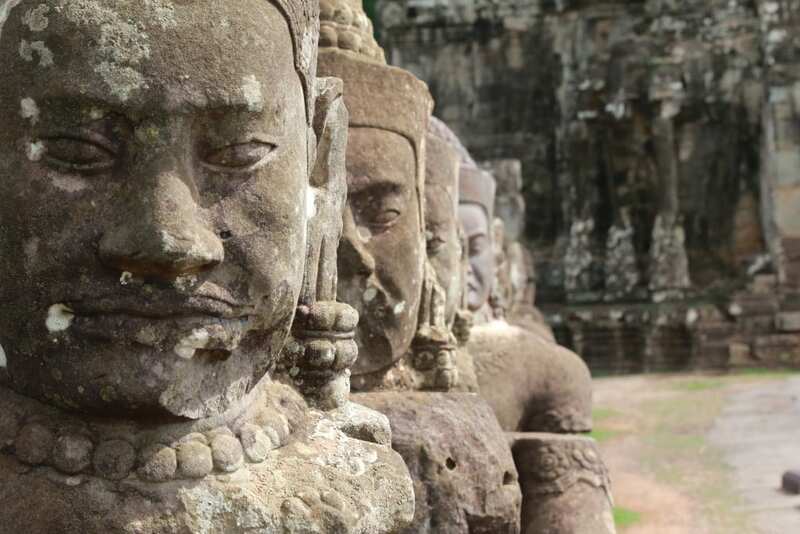 Marissa Carruthers looks at what to do in Siem Reap. As the tourist capital of Cambodia, Siem Reap is the number one destination on the majority of visitors to the Kingdom. And a trip to Angkor Wat and the surrounding temples – a true testament to the might of the Angkor Empire – makes it easy to see why. However, most tick off the temples and head elsewhere, doing themselves a real injustice. Why? Because Siem Reap is home to some of the country’s most pristine countryside – check out the Visit Banteay Srei campaign for inspiration on great community-led initiatives in the rural district – sacred Phnom Kulen National Park, swathes of artisanal communities and workshops and a city centre that is today packed with quirky boutiques, bars, restaurants, coffee shops and businesses. Kandal Village is one neighbourhood that is pushing Siem Reap’s make-over. Just a few years ago, the area, north of Pub Street and south of the Old French Quarter, comprised of neat rows of forgotten streets. Today, Siem Reap’s hippest neighbourhood stands as a charming collection of quiet tree-lined streets peppered with stylish stores. “The area grew organically,” says Adam Rodwell, co-owner of Little Red Fox Espresso, which opened in the area in October 2014. “It started with a few businesses and we all looked at each other and said, ‘This is a thing’.” Seeing the potential to push the area as a designer destination, they formed a committee and launched a marketing campaign. They came up with the name Kandal Village and produced a mini guide to the neighbourhood. Today, an eclectic collection of more than 30 businesses call Kandal Village home. These include Columbian restaurant Casa Sur, which houses clothes from Cambodian, French and Japanese designers on the second floor, creative café Crane, lifestyle store trunkh, vegan café Vibe and eclectic homeware brand Paradise. For more ideas on what to do in Siem Reap, read: Things to Do in Siem Reap avoiding Angkor. And the area’s offerings are starting to extend into the evening, with The Village Café leading the pack. Gearing up to celebrate its first anniversary, the venue – which houses Strangefruit&Jam Gallery upstairs – has welcomed a host of international musicians and DJs through its doors, with Last Night a DJ Saved My Life’s Indeep headlining its birthday celebrations. The city’s creative scene is also starting to mushroom as more independent galleries open their doors in Siem Reap. This wave of contemporary galleries and studio space are not only providing a platform for local artists to shine, but also attracting international creatives from all corners of the globe. Niko’s Studio, For Arts’ Sake at the Thaddeus Gallery, Mirage Art Space + Café, Strangefruit&Jam and One Eleven Gallery are shining examples of the contemporary art movement that is bubbling beneath the surface. These new ventures compliment Siem Reap’s largest festival – Angkor Photo Festival. This annual event – the 14th edition will be held in December – sees thousands of photographers from across the region descend on the city for a series of workshops, exhibitions and talks. The creative scene got a further boost when the Chub Met Music and Arts Festival made its debut in Temple Town in 2016, bringing with it six days of live performances from musicians, singers, dancers, comedians and other entertainers. Last year’s event saw Grammy Award-winning UK singer Joss Stone headline, with other acts including Pich Sophea, Kmeng Khmer, Kong Nay and Nikki Nikki. While the committee is taking a year out this year, Chub Met will return in 2019. This year also saw Siem Reap hold its first Pride event, with the town painted the colours of the rainbow from May 11 to 13. Having secured huge success, it will be an annual event in Siem Reap’s calendar. There’s no shortage of places to stay in Siem Reap, with competition fierce when it comes to accommodation. The great news is prices are reasonable and quality is high, with more innovative offerings entering the market, especially when it comes to the luxury tier. 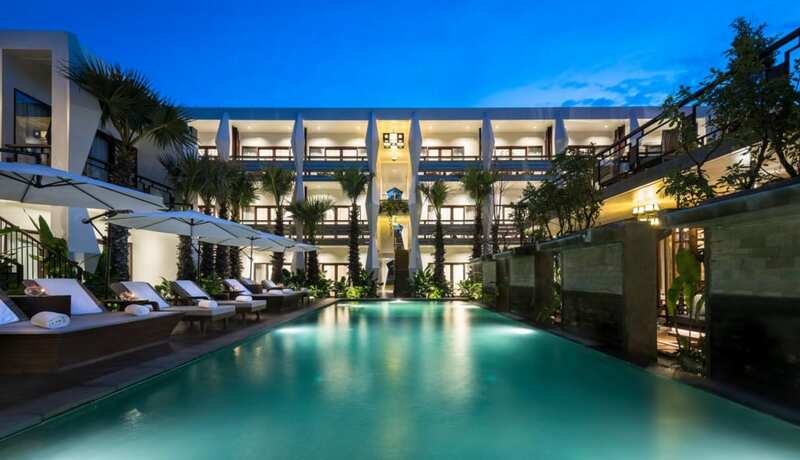 Templation and Jaya House come out top, with the luxurious Shinta Mani Angkor – Bensley Collection (see main photo) giving Siem Reap a boost in the luxury stakes with the opening of its 10 sumptuous villas in December. The Beige – a luxury tent resort – opened earlier this year, bringing with it a new concept to Siem Reap. Another possibility for what to do in Siem Reap is to take a photography tour. Read what Nathan Horton has to say on the subject. In October, Treeline Urban Resort will open on the banks of the riverfront as a prestigious boutique property. 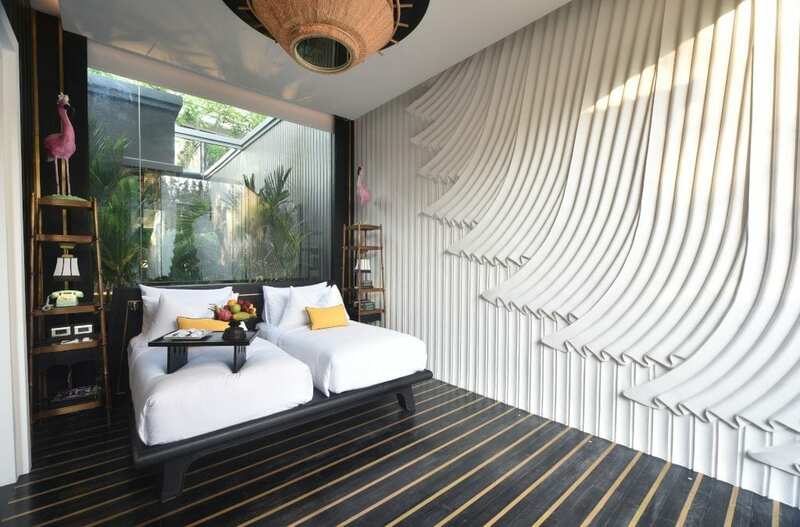 Comprising 36 rooms and 12 suites it was conceived, designed and owned by young Cambodian designer Hok Kang, and promises to add an innovative urban style to the local hotel scene. With this just the tip of the iceberg, it’s well worth spending a few more days to discover Siem Reap’s swathe of other gems.